The realm of Fair Use has lured many in; some have emerged with unclean hands. Rather than a blanket approval for the wholesale ripping off of the work of others, this seemingly simple idea has severe limits . . . but they are vague. 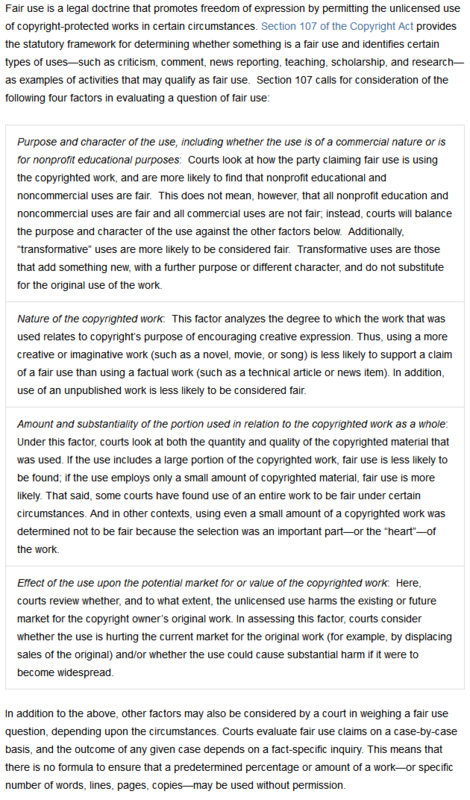 This infuriates those attempting to find their way through the thicket of copyright and fair use while keeping to the straight & narrow, and it makes some lawyers a bit wealthier than perhaps good public policy might prefer. For guidance in the application and interpretation of the Fair Use doctrine, one could do much worse than consult the writings of perhaps the best-known authority, Professor Patricia Aufderheide. We even bought her book. The more important question relates to how extensively one should rely upon outside sources in the first place. We feel that such practice ought not to be encouraged. This program, “You Want to Build a Railroad, Do You?”, is a one-off in its need for this much borrowed content.